Double vinyl LP pressing. 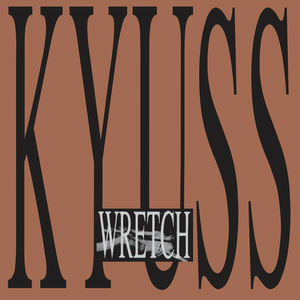 WRETCH was the first full-length album by American Heavy Metal band Kyuss. It was released in September 1991. Previously billed as Sons of Kyuss, the band shortened their name prior to the release of this album. The album contains a mixture of previously recorded demos and newly recorded material.